This morning we began our first full day of this trip to Hawaii. We slept late before driving a little north to Kawaihae harbor for brunch at Café Pesto. Then we drove Highway 19 over to the other side of the Island. Along the way, we stopped at the Tex Drive Inn in Honokaa, famous for their Portuguese pastries. We saw a lady rolling homemade malasadas. They were out-of-this-world good! Then we headed towards Hilo. Before arriving at HIlo airport, we visited Akaka Falls State Park. 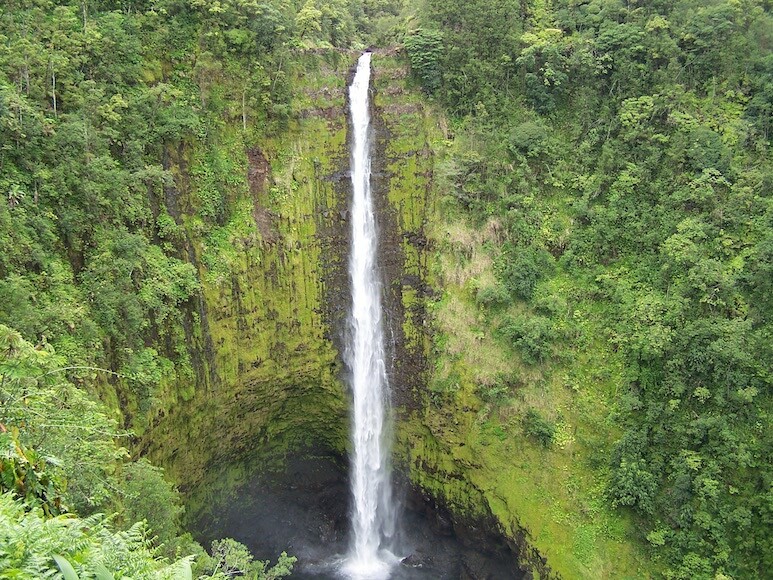 The waterfall plunges 422 feet and is one of the most beautiful on the Big Island. After visiting the waterfall, we continued to the Hilo airport. There we took a Blue Hawaiian helicopter tour above Hawaii Volcanoes National Park. We had been on a similar flight back in 2003, but this one was just as amazing. We flew right over the boiling lava of Kilauea caldera, the visible part of the world’s most active volcano. We also saw the lava flows from Kilauea steaming as they touched the coast forming new land on the southeast coast of the island. It was a spectacular flight. After we returned to the airport, we drove to the Mauna Loa macadamia factory in Hilo. We went on a self-guided tour of the plant. Needless to say, we bought some nuts and baked goods with macadamia nuts afterwards. We then headed towards Hawaii Volcanoes National Park. 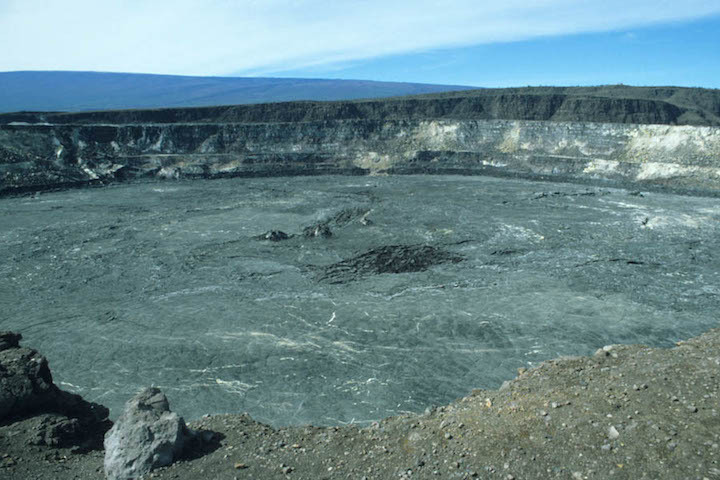 We drove to the Kilauea Visitor Center and visited the Volcano House that we had visited before. The exhibits inside were very interesting on volcanoes and geology. It was particularly interesting view the earthquake data on a seismology device that was monitoring the park. After an amazing visit to the park, we drove back through Hilo on our way back to Waikoloa. We stopped in Hilo for supper before arriving back at our hotel in Waikoloa that night. I love the Big Island!